The panels and doors are painted first. 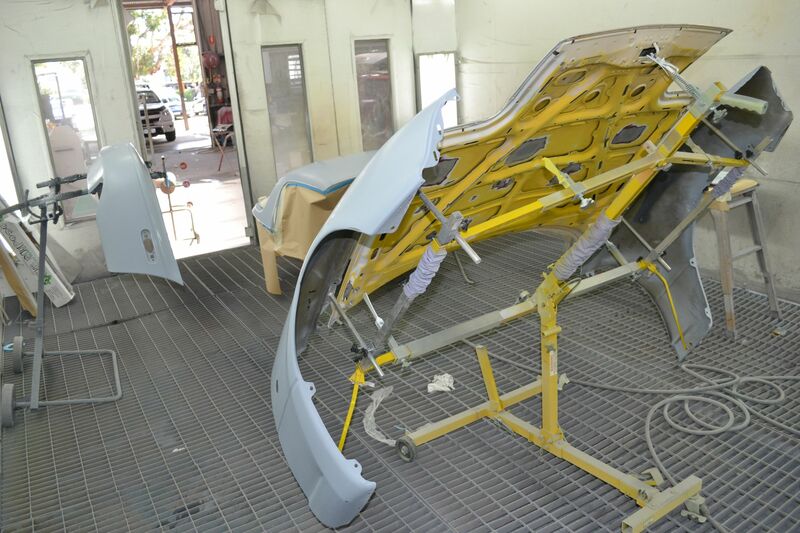 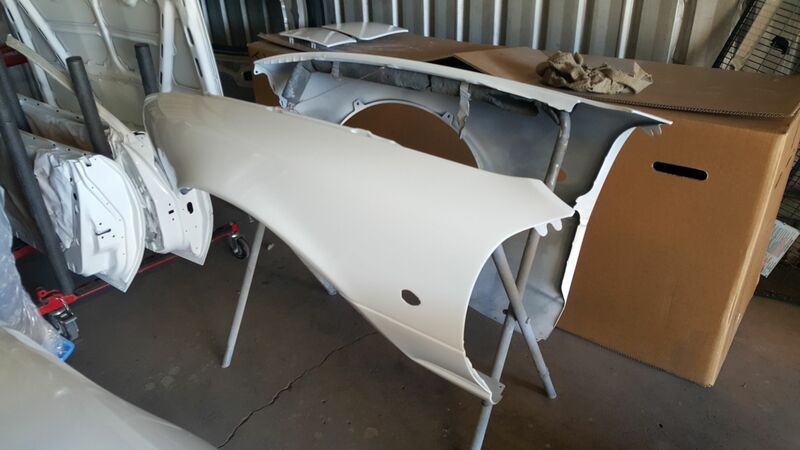 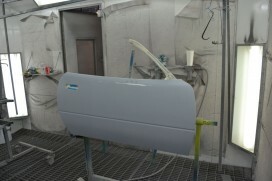 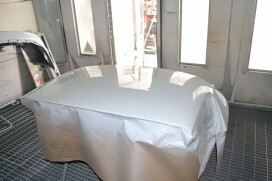 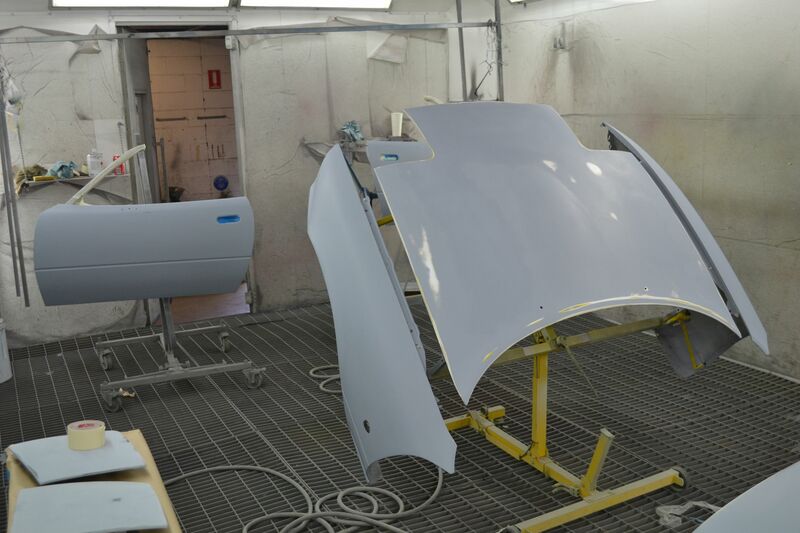 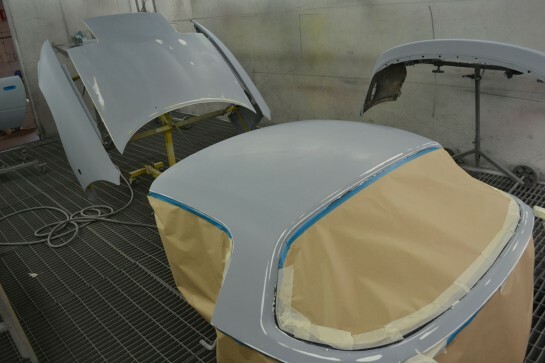 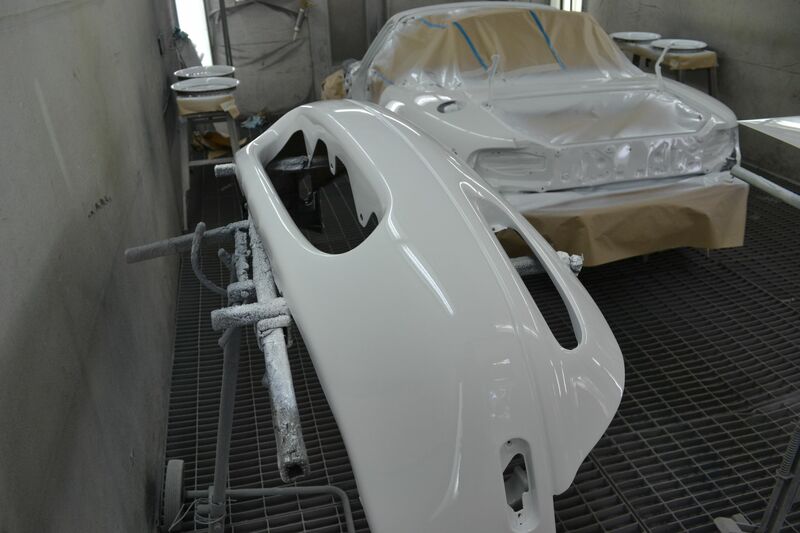 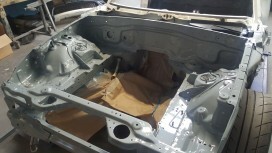 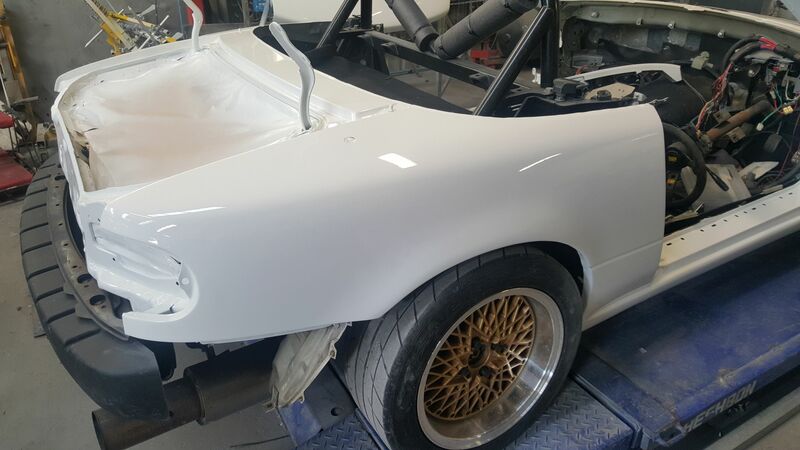 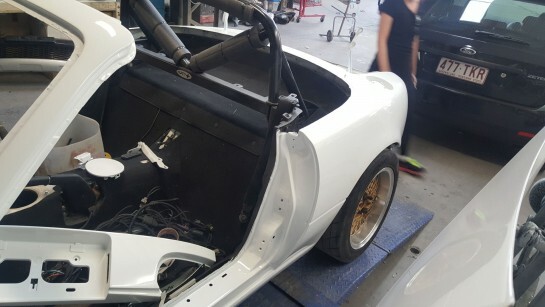 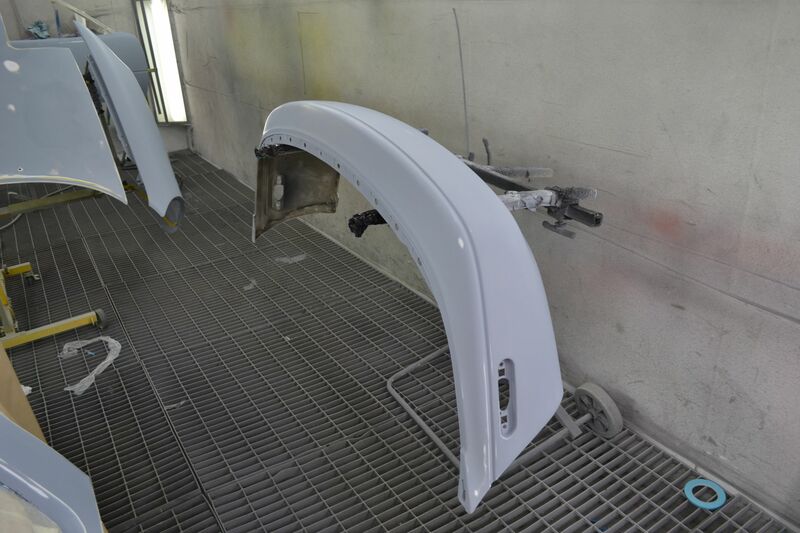 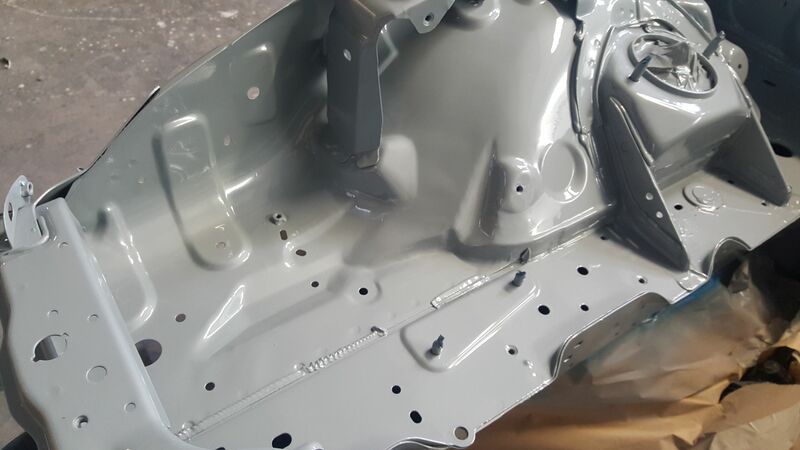 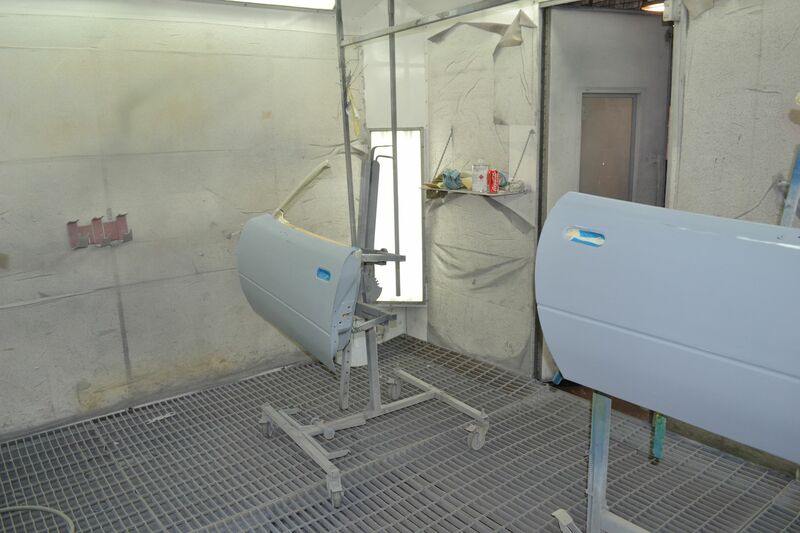 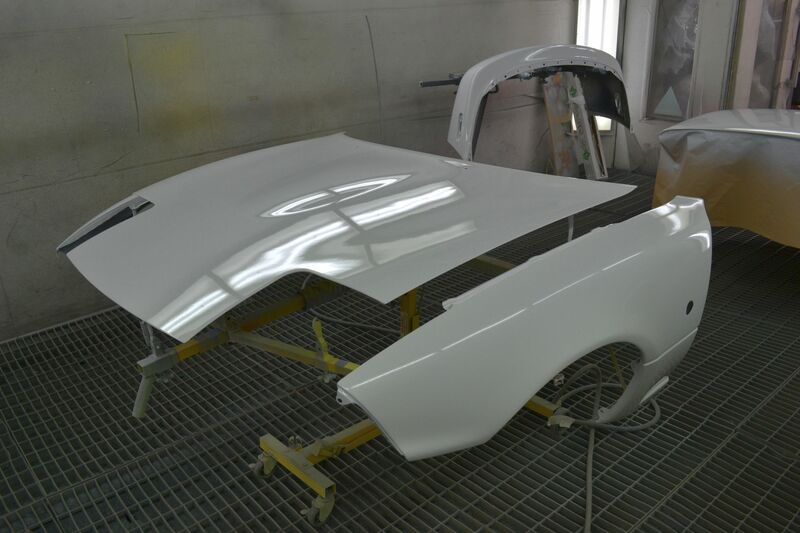 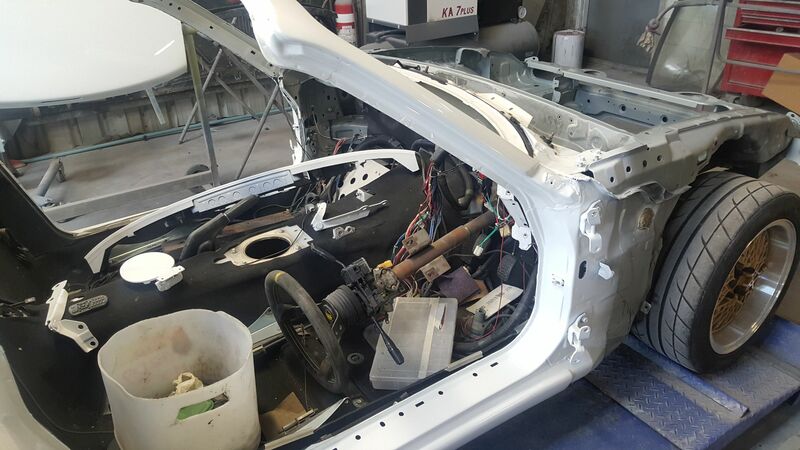 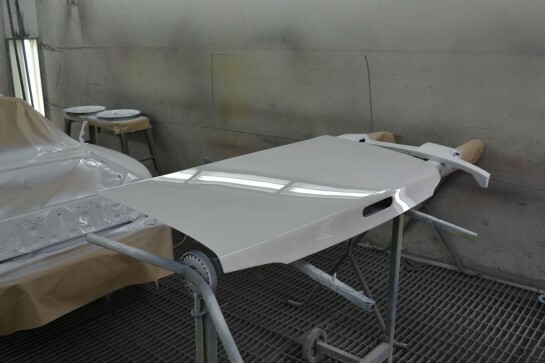 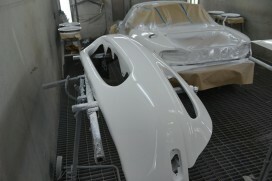 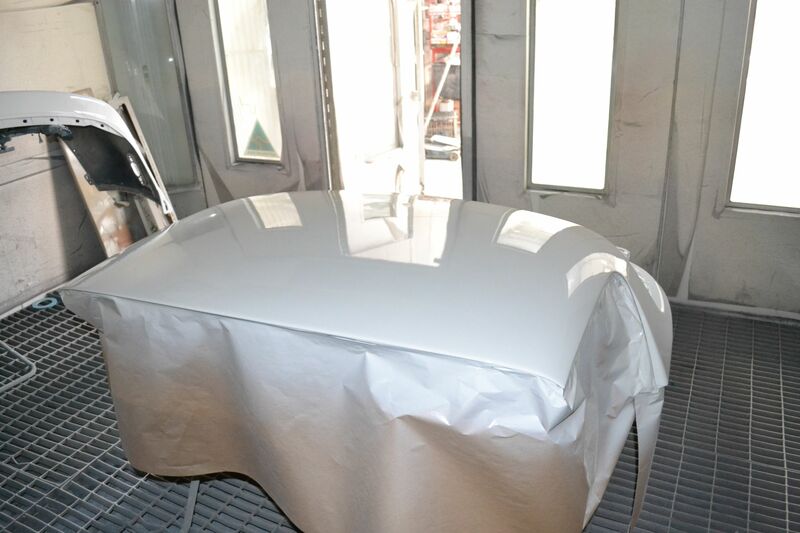 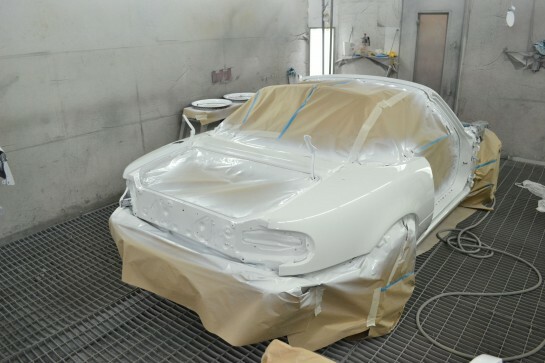 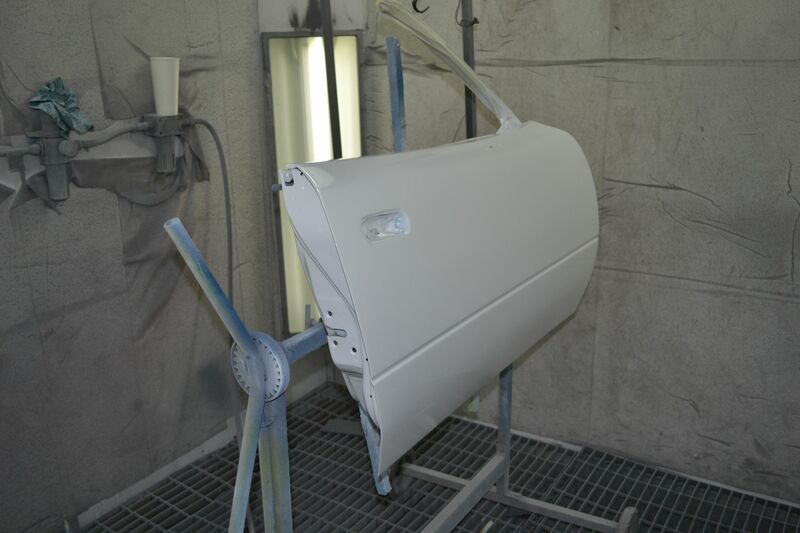 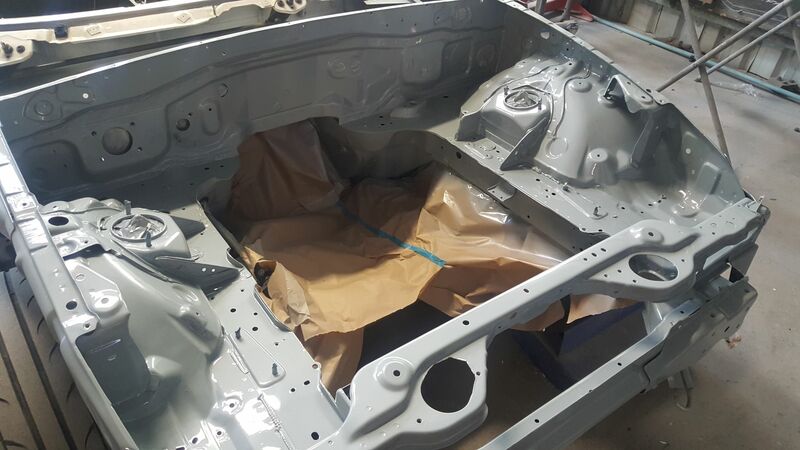 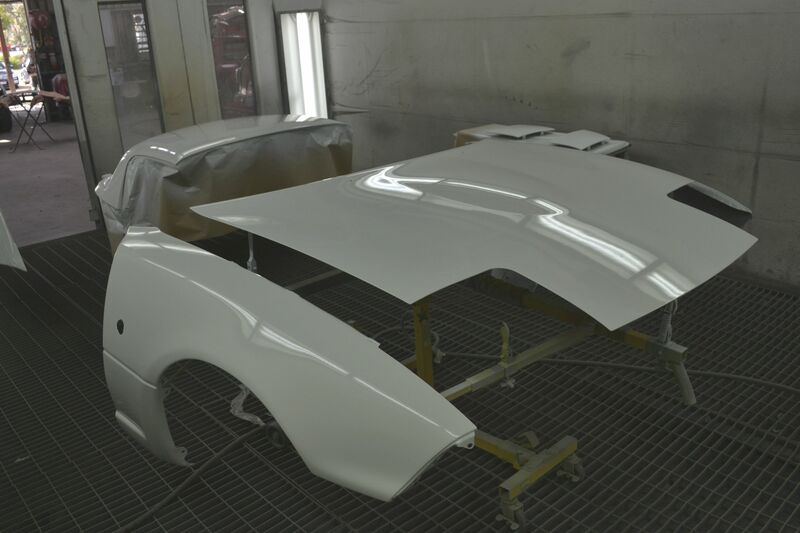 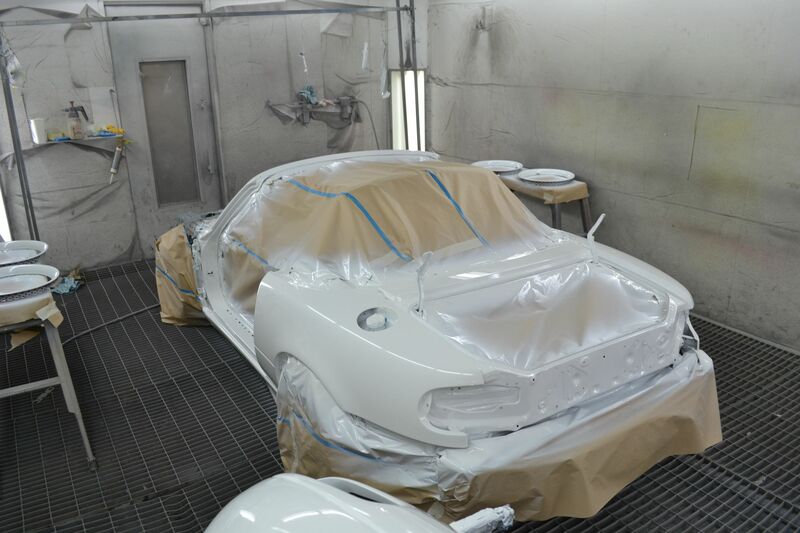 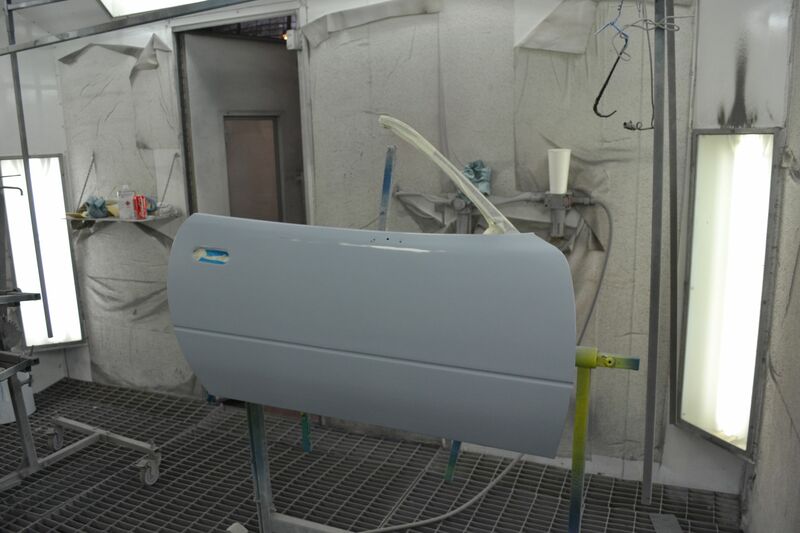 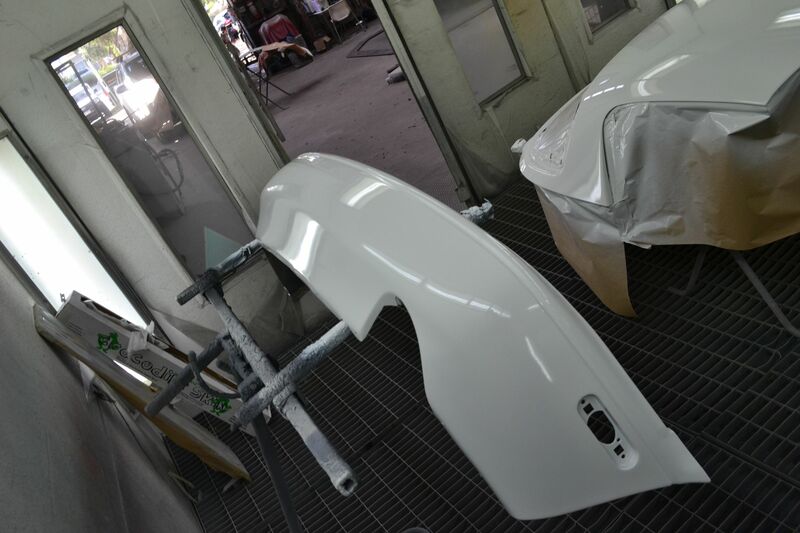 The guards and bonnet are secured on the mounting frame, this improves the overall finish by increasing the paint consistency from panel to panel. Doors and rear bar. 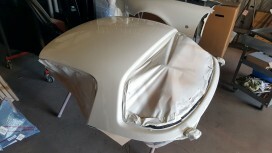 The front quarter window frames are masked off because they'll be painted black later. 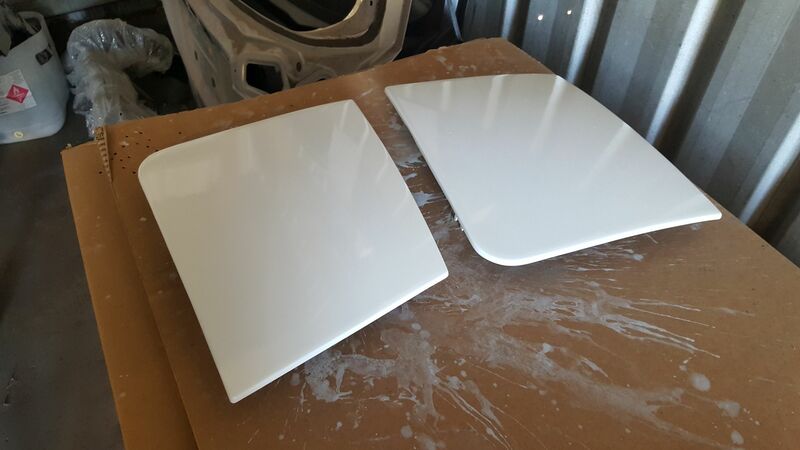 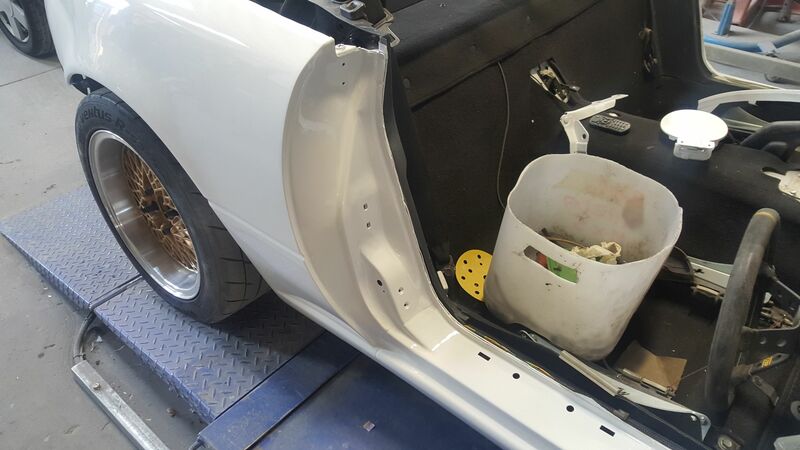 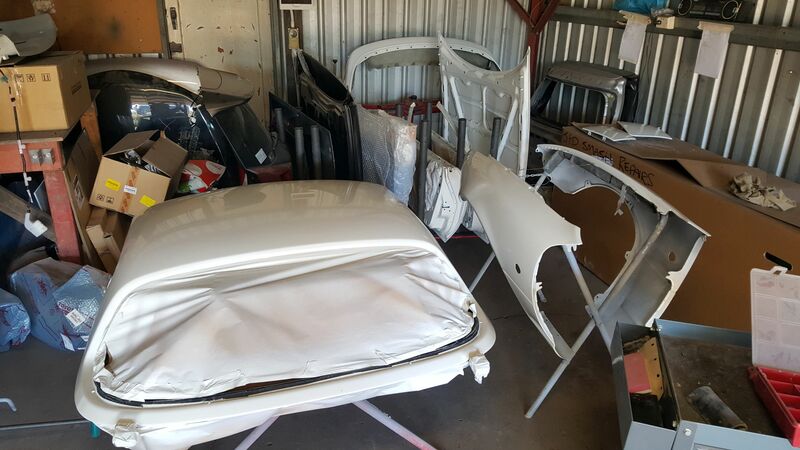 Doors, hardtop and boot lid. Rest of the other parts sitting in storage to fully cure.